I’ve done bits of hiking and exploring on my own as an adult, but nothing could possibly prepare my inexperienced mind for what it would be like to experience the mountains so fully with my own two feet (and sometimes hands, face, shins, knees…). I spent a lot of time this summer running mountains with people who have been running mountains for a long time, and I kept stumbling over what felt to me like Columbus-sized discoveries and was perpetually baffled at the way they seemed so second nature to everyone else. Every time I experienced a new mountain, I found myself feeling what I could only compare to the feeling of discovering new veins in my own heart or feeling air in my lungs for the first time. I would compulsively gasp out loud with excitement almost shouting it to others but was nearly always met with a look of amusement on their faces, as if it was obvious to everyone but me. The more time I spent in the mountains the more often it occurred to me just how many things there are about becoming a mountain runner that no one tells you about. The reason no one tells you about them is because of how difficult they are to quantify with something as brutally insufficient as language, but some things are important and this is one of them, so I’m going to take a clumsy stab at doing just that. 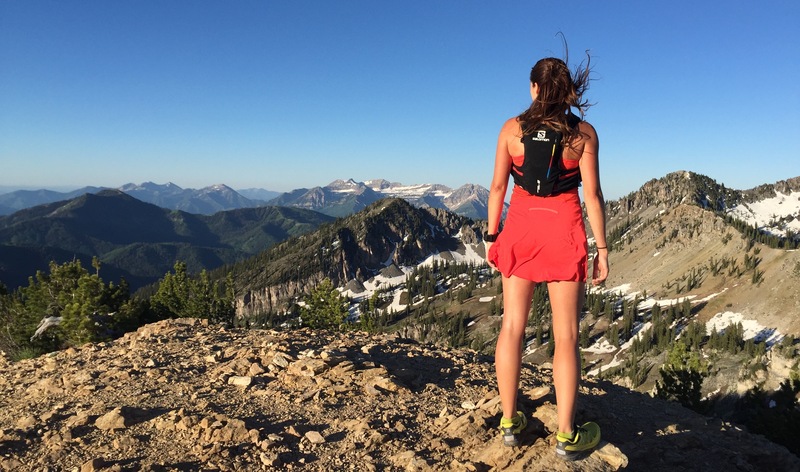 If you’re new to mountain running or considering venturing into it, it’s important that you understand what you may be in for. There are endless resources to help you sort out what gear to use and what routes to take, and scores of people to accompany you as you discover them, but no matter how strong you are or how adequate your gear is, if you’ve never unexpectedly discovered the face of your own soul on the peak of a new mountain, there are certain things you can’t possibly anticipate. I will try to articulate them for you based on my own experience stumbling into them. The alarming speed at which you develop an insatiable craving that is quelled only by an endlessly steep, sometimes miserable, and often precarious climb leading to a summit. Exactly how much control you won’t have over how you spend your free time once that mountain air leaves your lungs and enters your blood stream. The restless ache you’ll feel every time you look up because you can’t look up from the road or dashboard or computer without seeing mountains in your periphery, and the way you’ll feel both fulfilled and incomplete every time you look at the mountains, like missing someone you love when you’re staring right at them. How frustratingly inadequate every single picture you take will be compared to what your eyes experienced, and how you will still compulsively persist in taking pictures at nearly every possible moment, determined to somehow capture it, and failing blissfully every time. How often and how desperately your heart will need more than your body can provide in the moment, and how often you’ll find yourself experiencing a new level of physical pain and misery because the heart almost always wins. The way time becomes the most loved and hated element in your universe because, while it brings these incredible moments in the first place, it never sticks around quite long enough to allow your heart to linger in the moment as long as it desperately wants to. The feeling of leaving a piece of yourself on the mountain and taking a piece of the mountain with you every time you plant your feet on a summit, and the way the incremental change brings with it an electric sense of restlessness that you can never make sense of or find rest from until you find yourself on the next summit. How learning to understand mountain aesthetics for the first time feels like growing an entirely new pair of eyes and how baffled you will constantly be as you wonder how you’ve been staring at the same mountains your entire life and somehow never saw them before this moment. Summer will no longer be just a season. It will take on the role of a dearly departed friend who leaves behind it both cherished memories and an aching void that only it can fill, and a new sense of longing sets in that you’ve never felt before, as if someone you love is taking a sabbatical and all you have to sustain you in the meantime is the memory of the life-altering time you’ve spent together and the hope for new memories when it returns. Being so much more aware of the tiniest shifts in weather and length of days, and you get overwhelmed almost daily by the way panic combines with anticipation as you revel in how wonderful one season felt but look forward to experiencing the next. How desperately you will cling to the memories of your first time on a particular summit and how often you’ll revisit your own photo feed just to remind yourself of how alive you felt in that moment. The terrifying and exhilarating feeling of watching helplessly as the mountain creates endless moments of vulnerability for you to scramble over, and how irrelevant it is that you’ve managed to successfully spend half your adult life as a self-proclaimed stoic, because the mountain will extract from you precisely the emotion it wants to in order to teach you that stoicism is not a badge of honor, and that emotion is not, in fact, weakness but part of what makes you powerful. How immediately and deeply you will bond with and care for anyone, friend or stranger, who was with you in the moment you experienced that mountain because of the way their specific presence contributed to what was added to your soul on that particular summit. The chaotic but stabilizing moment when you realize that all of these tiny changes haven’t changed you at all but instead revealed exactly what you have always been and all you ever needed to be: your best and fullest self. Key takeaway: No matter how ready you think you are, you can’t possibly know what you’re in for, and not knowing is simply the most exhilarating, painful, incredible, terrifying, and authentically human experience you never thought you’d have. Also, there will be crying. Probably lots of it. Incredibly beautiful. Thanks for sharing those thoughts. Really well done. “like missing someone you love when you’re staring right at them.” …that brought tears of recognition, a very passionate and insightful observance. Thank you for sharing, thank you for feeling so deeply. I’ve never felt a pull as strong as I do now to move out of Kansas! Keep running and writing. Great blog – relate to most of it…. 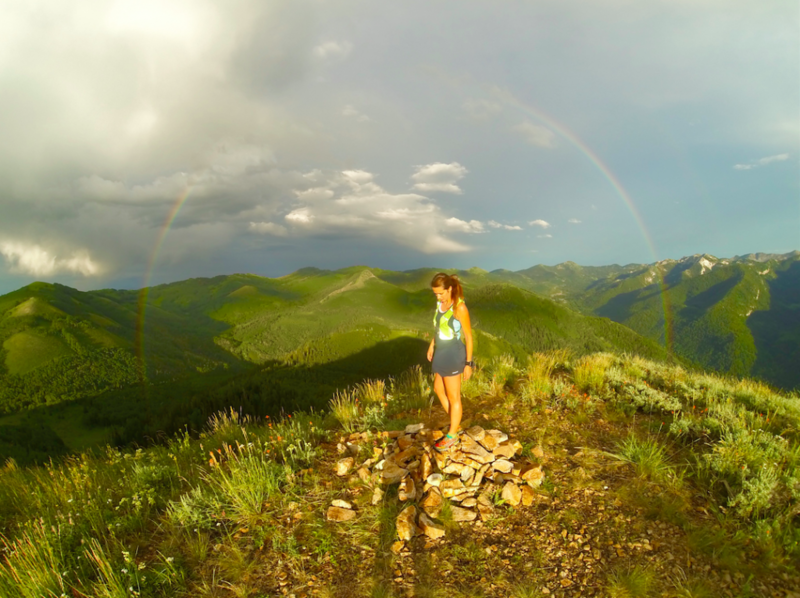 Wow, I absolutely loved this blog, you nailed on the head the way so many mountain addicts feel, and it sounds like you haven’t been doing it that long which is so cool! I think so many mountain folk can relate to so much of what you have written here! You’ve found a way to describe the indescribable. What a wonderfully strange thing we’ve lucked on to. Thanks for digging deep and putting it down in writing. This made me laugh. I have tried to explain so many of these things to people who do not run on the mountain and they say “wow…you’re dedicated”, really confused like. Thank you for this. Great article! Love it. I’m new to mountain running and you managed to put into words how I’m feeling about it. Mountain running is an exhilarating addictive experience.